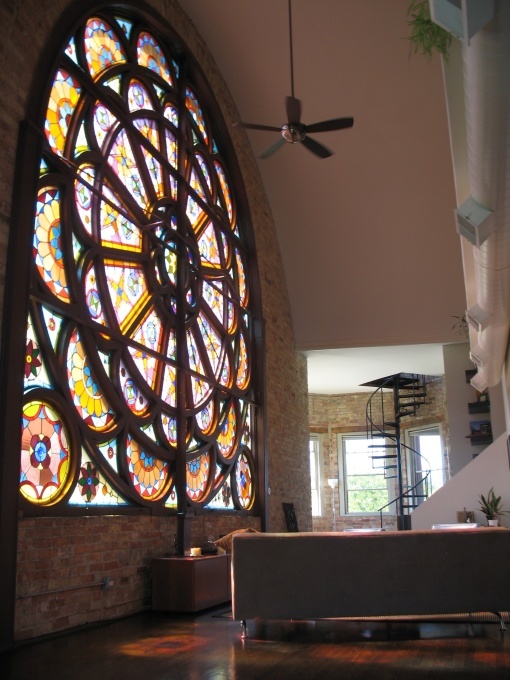 I’m all for church conversions – they have everything a loft should have: soaring ceilings, grand open spaces, exposed brick. 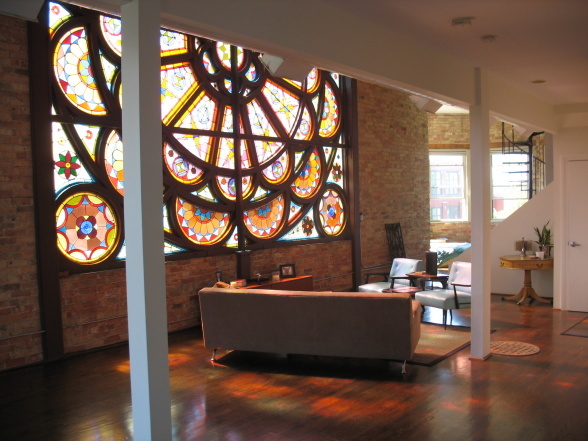 But they also have more: exceptional architecture, intricate ornaments and oh, those stained glass windows! 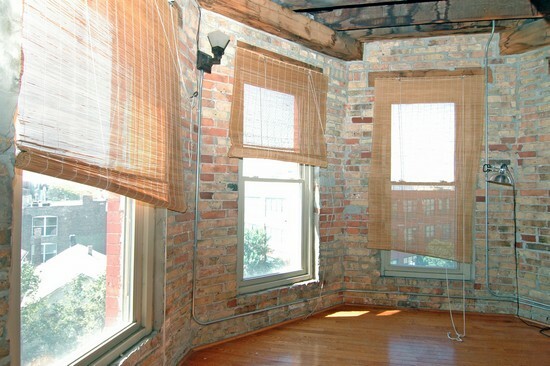 This unit in 1568 Superior Street, Chicago has them all. 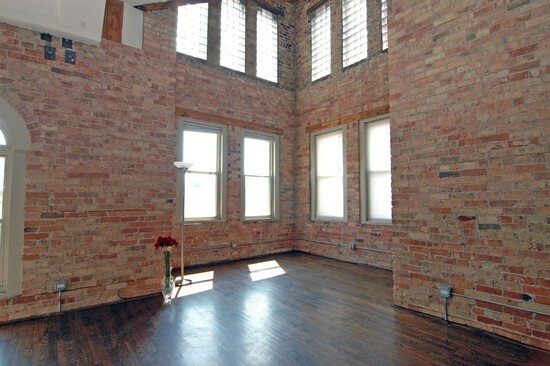 Being sold more times than I can count, this unit is a great church conversion. 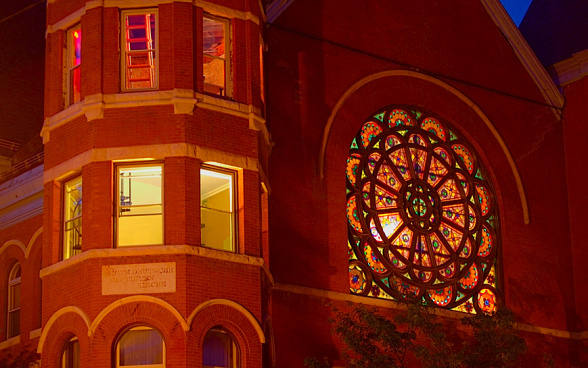 Actually, this church has been divided to contain multiple units – this one is probably the best of them. why sold so often? looks amazing ! Unlike many other conversions Kensal Green Church loft is not part of a church, it’s the whole church. There are 5 bedrooms. This beauty features large floor-to-ceiling windows surrounding a huge open space, a large fireplace, a gorgeous courtyard garden, a balcony overlooking the main space, and best of all, great light! 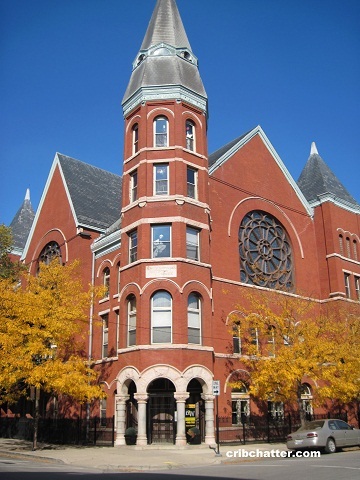 This 5,500-square-foot old church in Chicago, Illinois was turned into a home for a family with three young children. 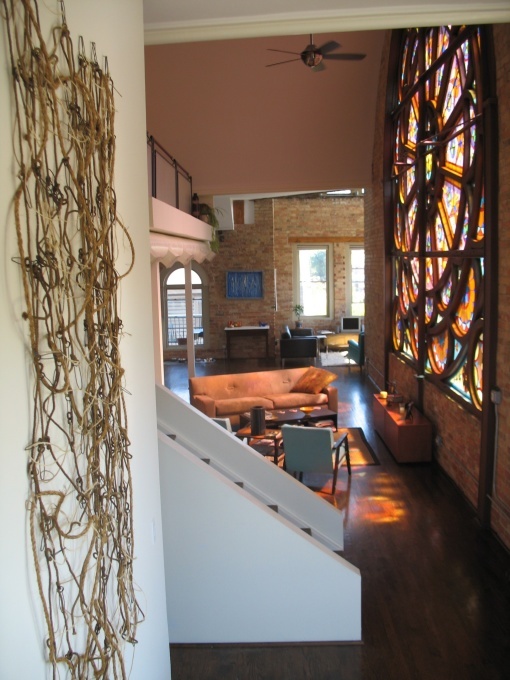 The architects did merge modern with original stained glass, along with other existing elements beautifully. 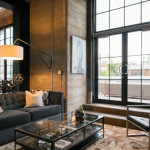 In a historic TriBeCa warehouse, a young couple found an opportunity to make an entire floor their first home. 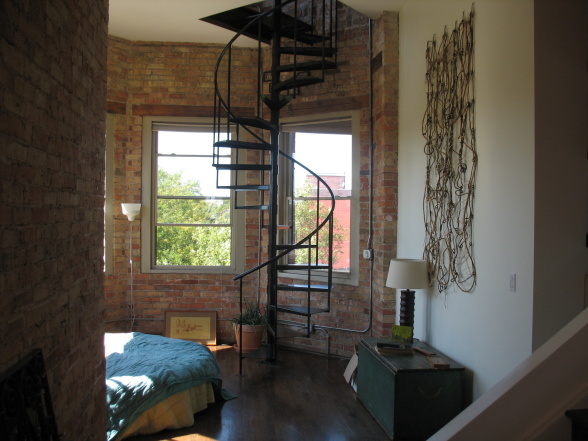 They wanted all the advantages of informal loft living, but also required seclusion for their bedrooms to accommodate guests and future family members. To achieve this Office of Architecture, in collaboration with Push, implemented a few cleverly conceived design moves. 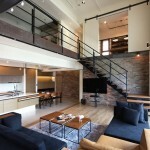 Lai residence is a two-story penthouse embodying many of its designers’ ideas about integration between space, architecture, urban living, and spirituality into everyday life. This residence & gallery is a celebration of clients’ inspired lifestyle, expressed through the design. 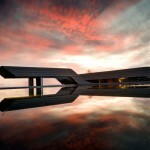 Overall, it is an expression of the unity between art and architecture. 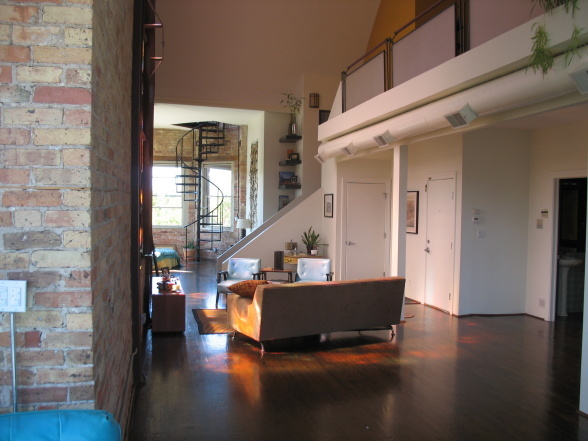 A change for our regular programming – not your typical city loft – however it has the open plan living and the floor-to-ceiling windows you’d expect. 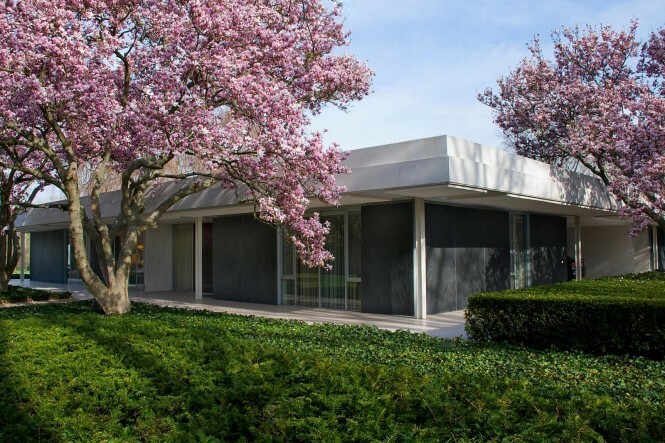 Saarinen’s buildings are truly timeless classics and this is one of the few family homes he had ever designed. In the 1960s, architect Paul Rudolph transformed this 19th-century carriage house located in Manhattanâ€™s Upper East Side in New York city, USA, into a stark modernist space, a facade of exposed steel beams and dark glass with a white, multilevel interior. 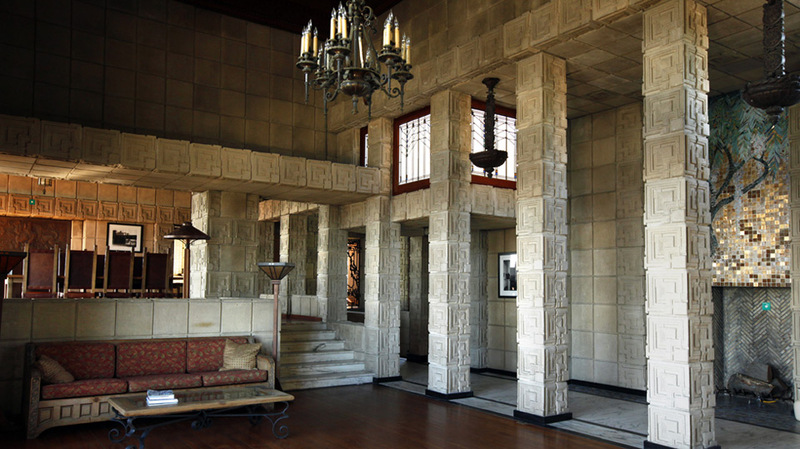 When Frank Lloyd Wright completed the Ennis house in 1924, he immediately considered it his favorite. The last and largest of the four concrete-block houses that Wright built in the Los Angeles area remains arguably the best residential example of Mayan Revival architecture in the country. 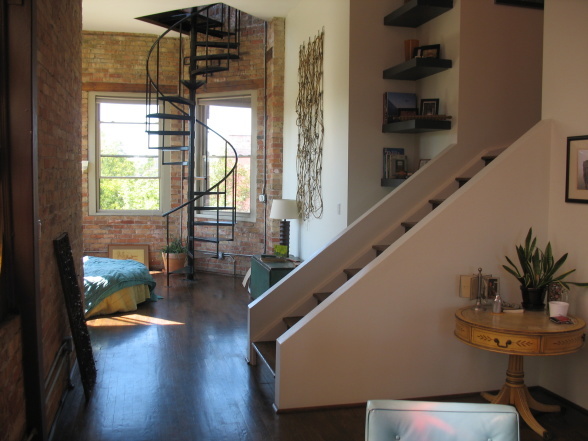 This charming home respects the original architecture of the old mill which the project replaced. Stone and wood give this place a lovely traditional feel. But the interior design also features some contemporary furniture pieces which are pleasantly combined with vintage details, creating truly charming decors. Another fantastic house by A-cero, great Spanish architects – 18,300 square-foot of awesomeness! From the first moment the house clearly shows its intentions, and bold, stylized forms, thanks to a subtle handling of curves that match harmoniously with their natural context without sacrificing a distinctly modern look. Horizontal lines dominate volumes, which are superimposed in layers, from a partially visible basement, forming layers that appear to emerge naturally from the ground. For today, I brought a large gray and red loft in New York. The living room has plenty of space. The red accent color is repeated all over the place. A former warehouse was transformed into this modern loft in Brussels, Belgium by SHSH architects. 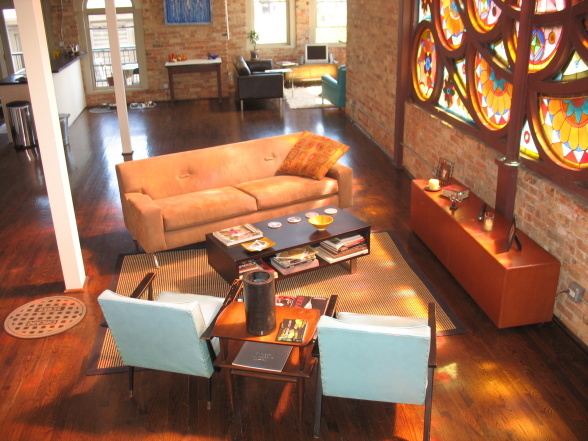 The goal was to create an experience of colors and textures – on a limited budget. The concept revolved around the loft as ‘the ocean’ and constructed elements (kitchen, bedrooms, bathroom) as ‘the islands’. 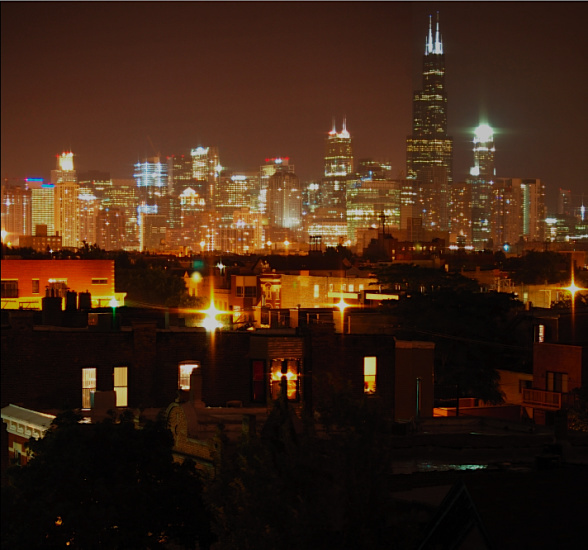 In the heart of Mount Pleasant’s brewery district, just a short walk away from a variety of restaurants and breweries, you’ll find the Mecca. This double-height, Insane Vancouver Loft is most probably the largest unit in the building. 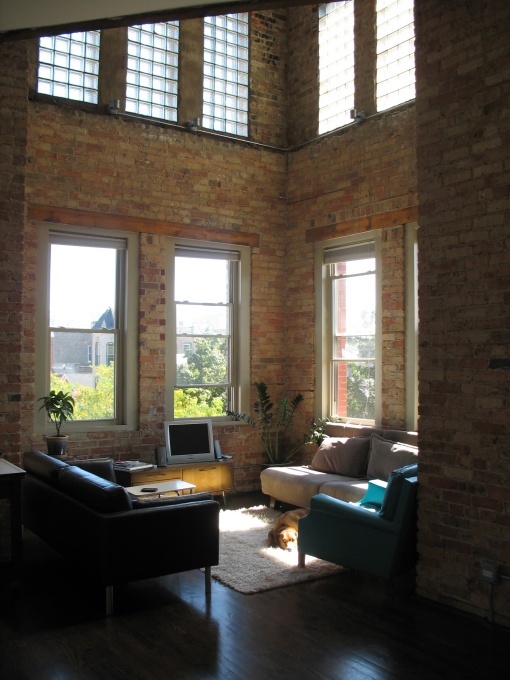 You could miss this industrial loft for a library – a huge bookshelf dominates the living room.